Writing villains is easy. Writing believable villains that elevate your fiction from cliché to unforgettable is a lot harder. 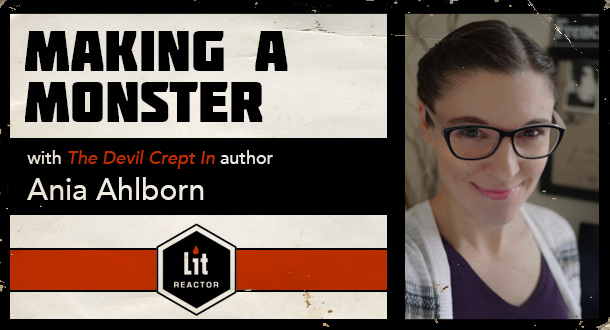 Let acclaimed horror author Ania Ahlborn show you how it's done. Writing villains that will elevate your fiction from cliche to unforgettable is a lot harder. We all have a slumbering beast coiled just inside the cages of our chests. The trick to memorable antagonists? Waking that sleeping, amoral monster inside us. But how does one gracefully unleash a murderer, a serial killer, a demon; how do we turn a downright contemptuous villain into a character the audience can’t help but secretly love? Bestselling author Ania Ahlborn has a reputation for making her readers root for the darkest, most twisted characters in her genre. Her books—from supernatural horror to haunting thrillers—have been lauded by the likes of Publishers Weekly and the New York Times. And in Making a Monster, she'll delve into the alchemy of the sympathetic bad guy. Lecture: What makes an antagonist relatable; why do we root for the bad guy, and how do we get the audience to cheer for the story’s villain? In week one, you’ll learn about the psychology of the sinister and discover how to turn even the most wicked of antagonists into a sympathetic character. We’ll delve into what makes a reader respond to (and recoil from) certain archetypes, and how to avoid the pitfalls of writing flat adversaries. Assignment: With the aid of a checklist, you’ll fully realize your villain by delving deep into their psyche to figure out what makes them tick. What does your antagonist want and why? A thorough character sketch will help you put these elusive puzzle pieces in place to fully take advantage of the lesson for week two. Lecture: Now that we’ve fleshed out our antagonist, how do you get your audience to respond to your villain’s maniacal desire? This week, we tackle exactly how to pepper your manuscript with flecks of bad guy pathos, how to get the audience to respond with compassion to even the most downright diabolical deeds, and how to effectively place these nuggets of sympathy throughout your manuscript to create a villain your reader won’t soon forget. Assignment: You’ll write (or rewrite) a scene from your story or novel that highlights your villain’s vulnerabilities.